Widely regarded as a premier clinical reference, this book provides state-of-the-science tools for conducting effective assessments and using the results to plan and monitor evidence-based interventions. Leading authorities present proven approaches to screening and assessment for specific psychological problems. They offer practical guidance and case examples to help clinicians select the best measures for different populations and assessment purposes. Recommended instruments and procedures are described, including applications for managed care and primary care settings. Many of the chapters feature detailed tables that compare and contrast relevant measures.New to This Edition*Thoroughly updated with new instruments and research findings. 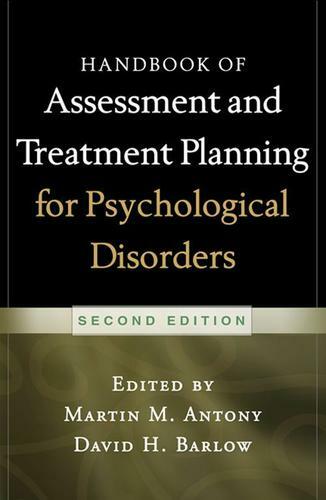 *Chapter on the role of assessment in evidence-based treatment. *Additional disorder-specific chapter: impulse control disorders. *Chapter explaining how to evaluate the reliability and validity of a measure.